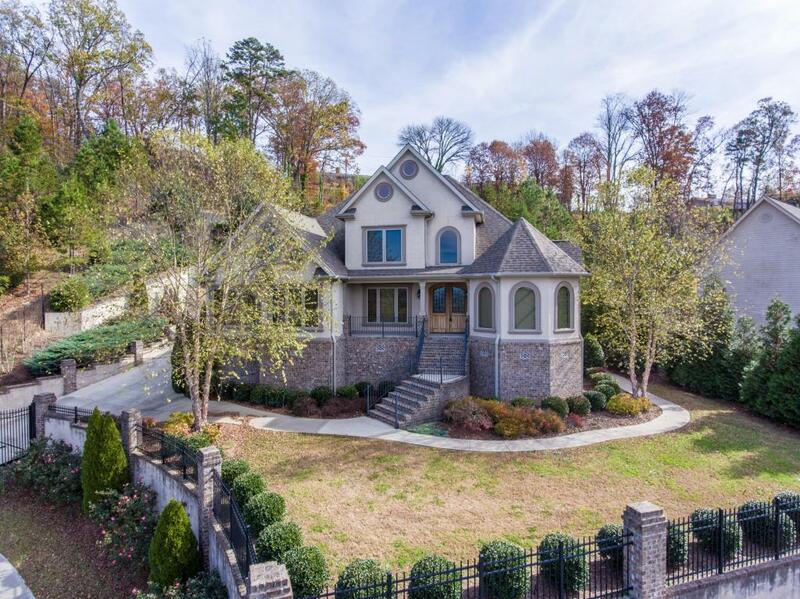 Enter this beautiful light and airy home through its' marble floored foyer with 20' high ceilings into a uniquely designed great room featuring a front and centered fireplace that does not take away from the view of the outside landscape. Hardwood floors flow from the great room, through the dining room, sunroom and into the jewel of master suites, designed with custom built-ins beneath beautiful arched windows beneath an equally beautiful ceiling. A him and her custom closet is accessed through the master bath with its' jetted tub, double headed shower, double vanities and tiled floor. Travertine floored kitchen has a large work island with an ice maker, stainless appliances, built in butlers' cabinets and a large pantry. 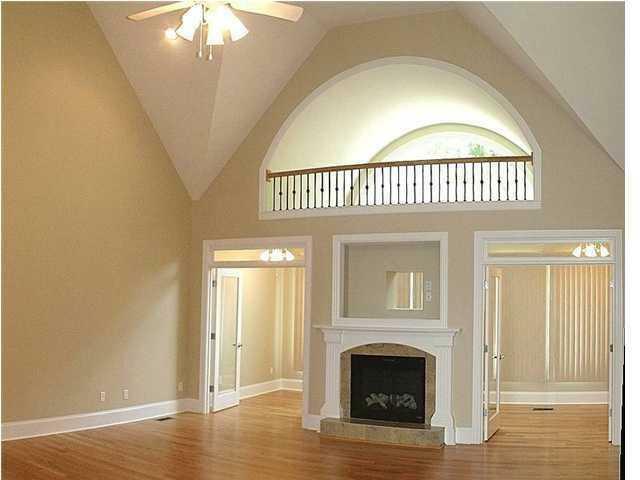 Wainscoting, arched doorway and a beautiful chandler,top off the separate dining room. 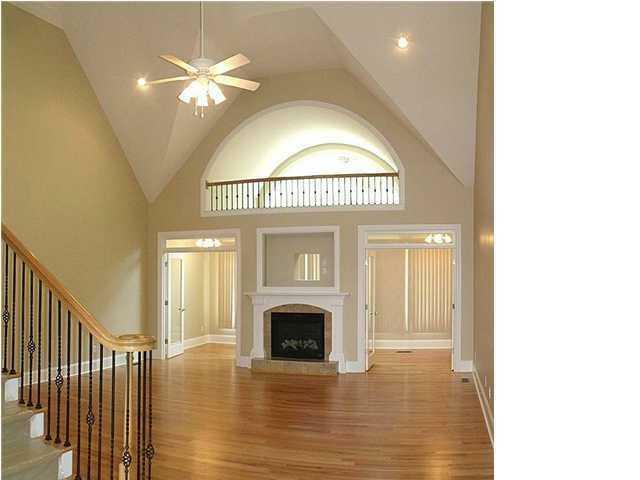 Up the staircase to the upper level are another 3 bedrooms with roomy closets and large windows. The upper level also has full bath.